The single chair in the small cinema became available for the second loop of the video for a more concentrated run on my part. And still I had trouble getting it. 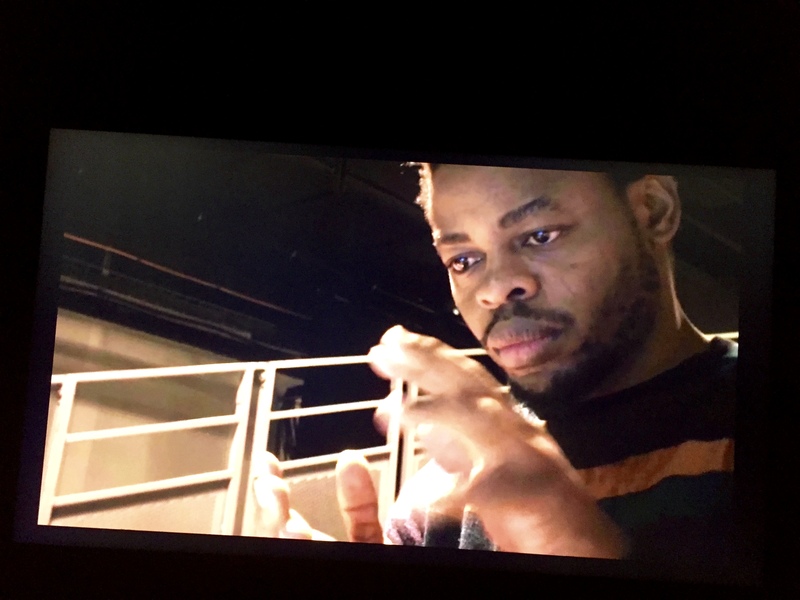 ‘It’ being three fragments of film showing dance and performance by Qudus Onikeku, a Yoruba man. Born in Lagos, went to circus school in Paris, and was at some point in his life more than happy to return to Lagos. The one part that did resonate with both my own body and soul, ignoring still the rational mind, was a section in which we see Qudus behind a table as a confused orator, angry teacher, failing dokter, inept civil servant or who else speaks to us from behind a table at which we are not seated ourselves. Years are recited. As in an impressionist documentary fragments of learning are passed to us. ‘Help society to remember…, you have to keep moving…, I here right now…, I of contemplation.’ Those I caught in an iPhone note. In the book Onikeku explains that he presents us with a collection of his past work in sort of a triptych showing three elements of that work: contemplation, poetry and engagement. Not ‘getting it’ did not mean it did not stimulate my curiosity. At home I managed on Youtube to find the full version of the performance that resonated with me and I link it here: Still/Life.